"I have had the privilege to work with Gail Prescott for over ten years. She is my official insurance consultant and has supported all of my very diverse insurance needs. With every policy, I have been properly advised, and patiently given all available options with explanation and detailed information as necessary. I have referred her to all that sought my opinion for insurance agents and I will continue to do so. " "WIC Insurance and, more importantly, Derek Rynne, have proven that personal customer service is still alive. Derek has shown his professionalism on many, many occasions and has helped both my company and myself personally save money. Derek has gone out of his to service my insurance needs in a way that far surpasses my expectations of what an insurance agent should be. I will continue to work with Derek as long as I'm in business. " 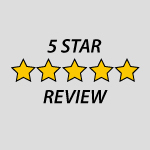 "Derek Rynne has been a great insurance provider not only for our business operation, but also for our personal needs. It's very easy to reach him when you need him and he's always ready to help. " "Gail Prescott is a very dedicated insurance agent who takes pride in the relationships that she has with her customers. Gail works hard to make sure that she is providing the best coverage and pricing for each of her customers, whether it be a small personal account or a larger commercial account. Customer service is top priority to her and her agency. " Auto Insurance We can shop for the best insurance rates and coverage. Let us start today! Umbrella Insurance We have great umbrella insurance coverage options to fit your specific needs. Boat Insurance Protect your fun investment with coverage that’s designed with the boat lover in mind. Commercial Insurance We offer a wide range of commercial insurance options to fit your specific needs. Specialty Dwelling Insurance Get protection for your home away from home and other properties. Restaurant Insurance Make owning your own business a little easier with the right rates.